Professional snowboarder Kelly Clark hadn’t kicked around a soccer ball since high school. 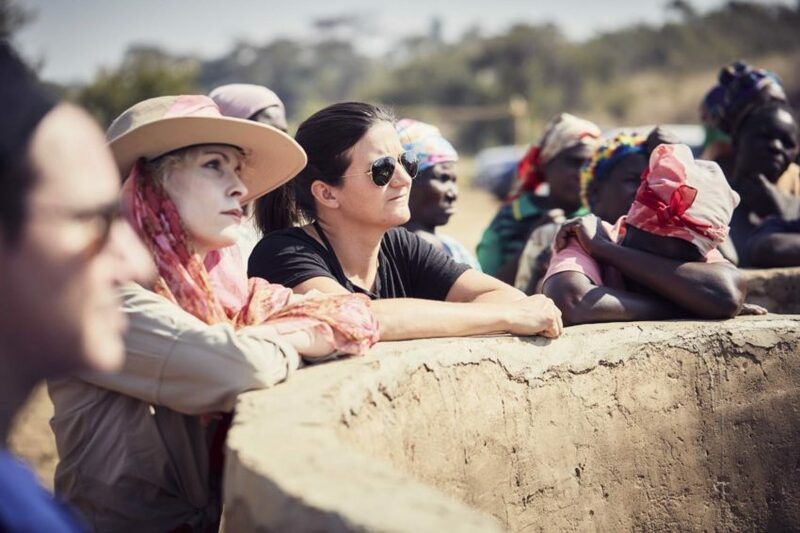 Yet on a hot August day in Zambia, dust and laughter filled the air as she and children played. Kelly, 35, has been on the U.S. snowboard team for 20 years, and her professional accomplishments include three Olympic medals across five Olympic Games, 14 X Games medals, and 22 World Cup podium appearances. On top of all that, she was the first woman to land a 1080 in competition and is still one of only a few women who can do the trick. 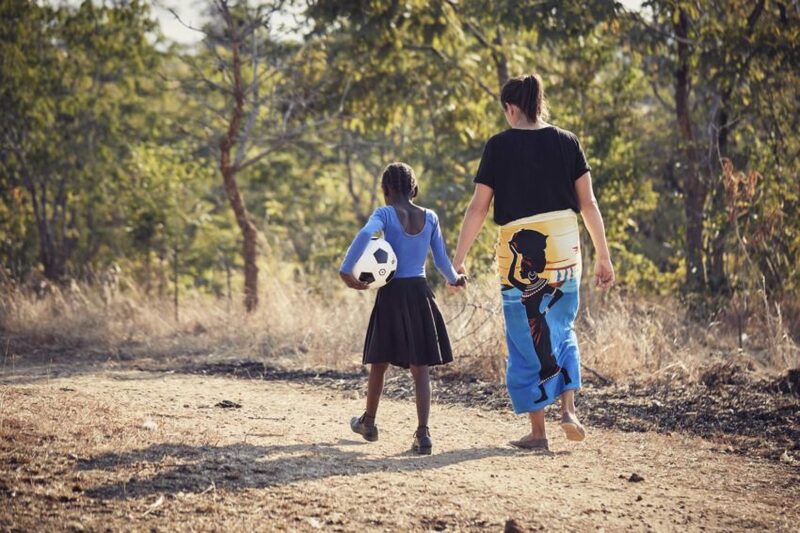 Despite all of her athletic accomplishments, Kelly’s faith fuels a desire to help others, so she found herself “getting ruined by a bunch of 9-year-olds” in Zambia, where she traveled in August 2018 with World Vision to visit her sponsored child, Naomi. 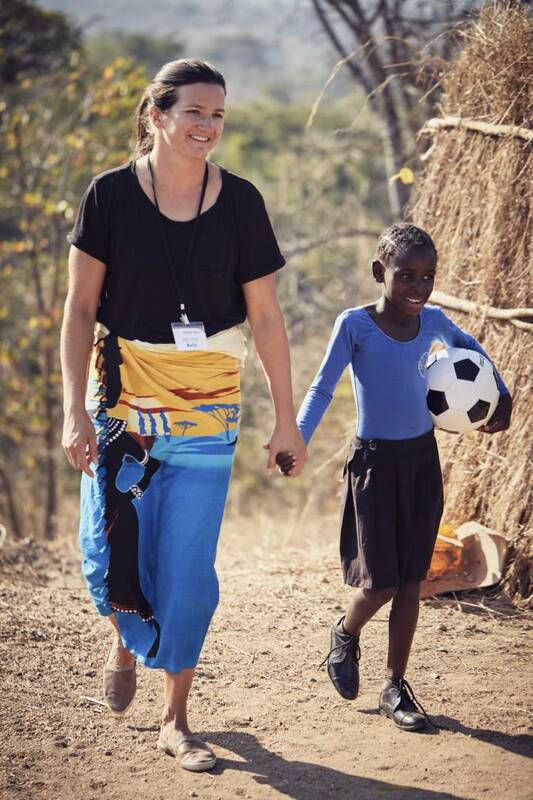 She was able to witness World Vision’s work up close, which is something she plans to become more involved with since announcing her retirement from professional snowboarding. 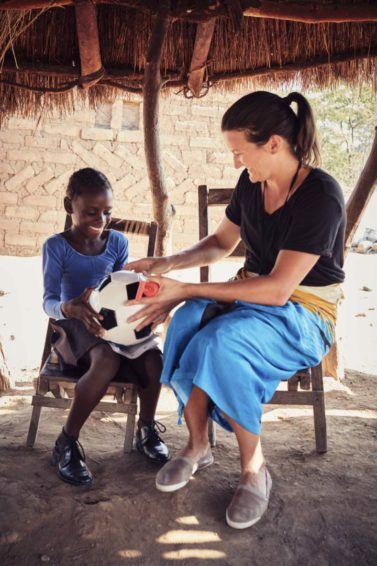 We spoke with Kelly about her experience visiting Africa and what’s next after snowboarding. 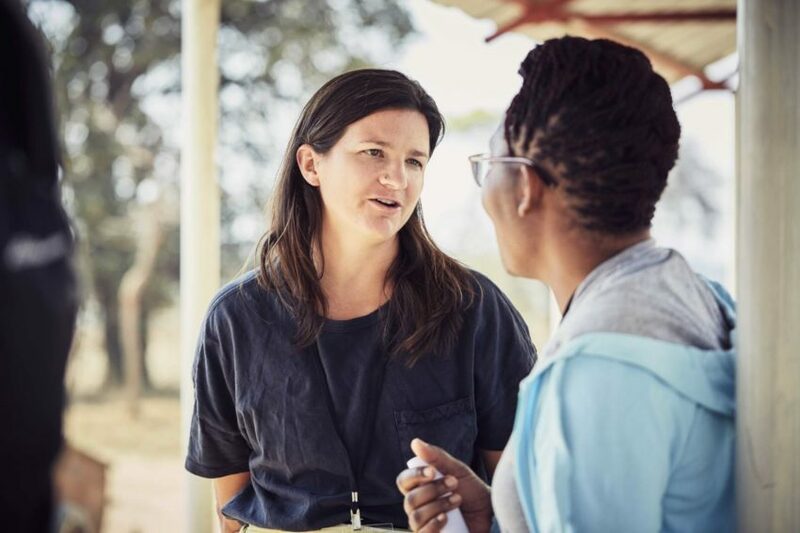 What was it like visiting World Vision’s work in Zambia? It’s incredible when you walk up to the village, and you see women carrying their life source (water) on their heads with these 5-gallon buckets and hearing the stories of how many problems the simplicity of clean water can solve — from hygiene to nourishment. 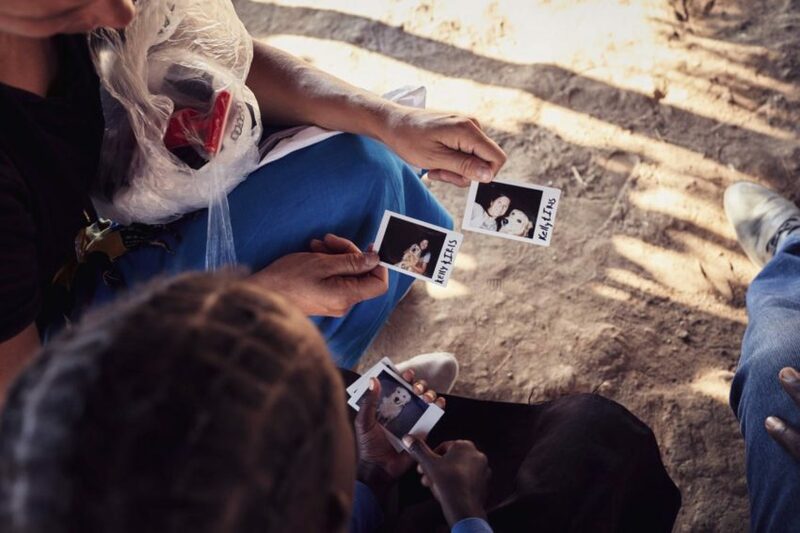 The most impactful part of the clean water story was knowing that at a certain age, the young women would have to choose between continuing to get water for their family and getting an education — and knowing that doesn’t have to be a choice anymore is the most powerful revelation I had about how important it is. 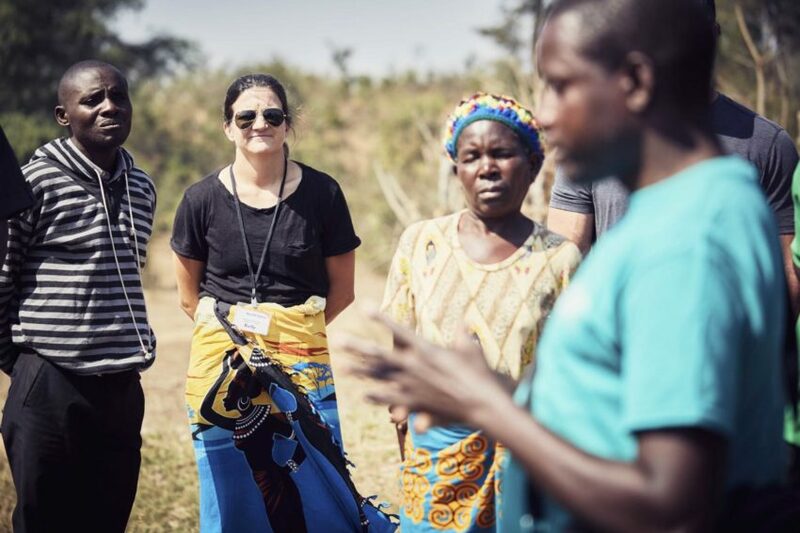 When would we ever think, “I’m going to choose between having clean water and going to school?” That’s so far from our paradigm that we don’t realize the real benefit a well can make in a community. Hats off to them — no pun intended. I tried it, and trying to carry water on your head is quite a learned skill. I need to spend some more time with it, and I don’t even think my bucket was half full. It’s a different culture, but it was amazing to be part of it and participate in it a little bit and hear their stories. How did these stories impact your mindset? 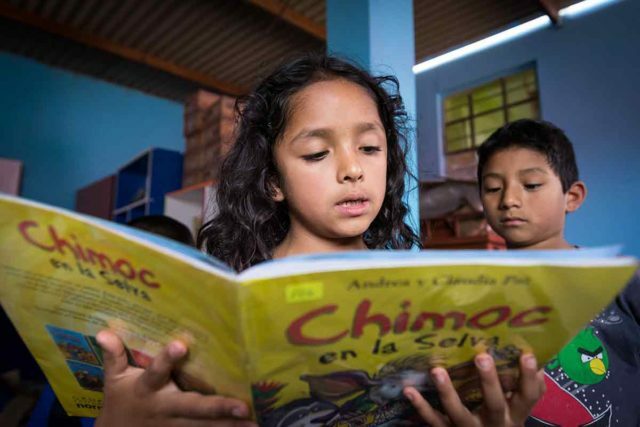 After being there and seeing how transformative the programming is for these communities, I was amazed at how easy it was to make a difference in someone’s life. 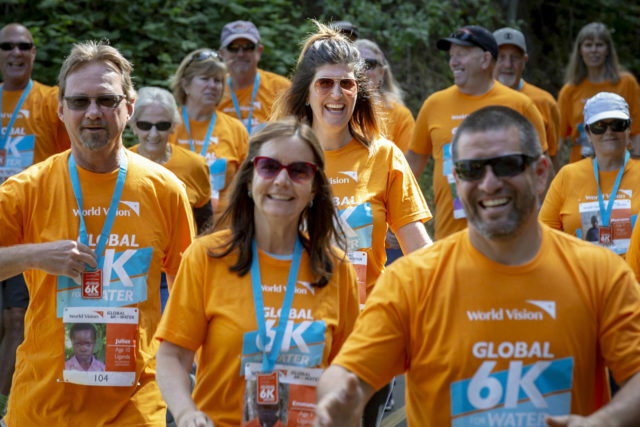 You can make a difference and see the difference you’re making through the interaction with your child and even making a simple donation on the [World Vision] website. I was on a walk with a friend when I returned, and I was sharing about my trip, and she said, “I home-school my girls, and for Giving Tuesday we always pick a charity because we want to help them learn, invest, and donate to something good.” Even in looking at the Gift Catalog website, I said, “Oh, this is for you — the girls are going to be able to learn and see the impact they’re making because the website is so interactive and engaging. 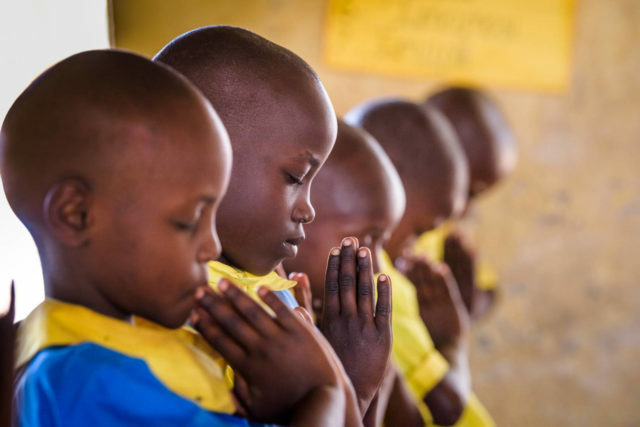 It helps anyone engage with the child they sponsor, even though we’re thousands of miles away.” For my friend’s kids, they can’t travel to Africa, but they can learn what a difference giving a goat to someone is going to do. 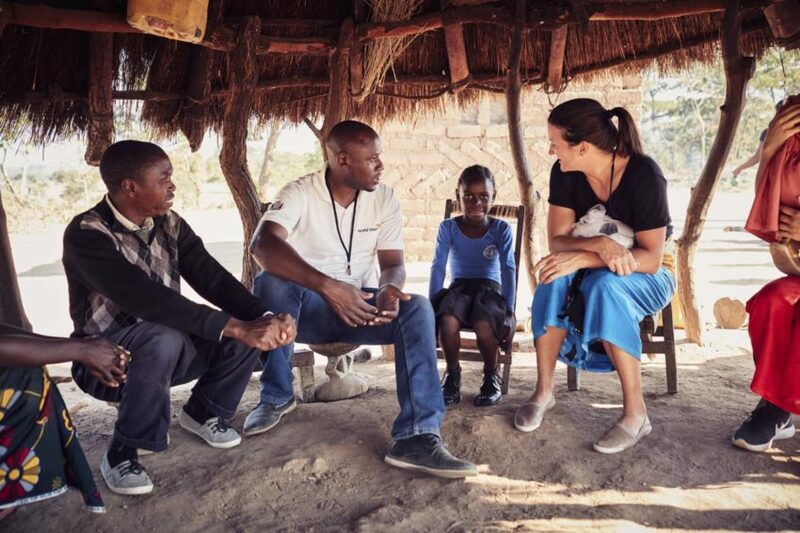 Why were you interested in seeing World Vision’s work in Zambia? I’ve been chasing winter around the world probably the last 15 years. Most of my summers are spent training for winter. I head to the southern hemisphere every North American summer and find winter and train for a few months. Even in the fall, the whole snowboard team went to Switzerland to get on a glacier for six weeks before the North American winter flies. I can’t describe how full my schedule is with dryland training and on-snow training. Are you hoping to do more things like that in your retirement? Yes. I’ve done passion really well. I’ve had the privilege of pursuing my dreams, and I’ve found a lot of fulfillment, and I’ve found a lot of great moments of walking out my Christian life with the Lord. In those moments of pursuing all that’s in my heart, I’ve found that it’s not what’s in your heart — God just wants your heart. But I began asking myself, beyond passion, what am I compassionate about? Without being too religious, passion can be self-serving, and compassion has a lot more to do with serving other people. I’m in a transition in my life that as I approach retirement from one career, I’m asking myself, what am I compassionate about? What does pull on my heart? What can I give my life to that goes beyond myself? Even in my snowboarding career, I’ve always had a value to leave the sport better than it was. I’ve approached it with a desire to contribute instead of just take and make sure snowboarding was better because I was part of it. It’s not like it’s a totally new concept for me, but I am in the process of trying to figure out what does compassion look like for me? What is God’s heart of compassion look like for people? When this trip came up, I jumped at it because it’s a great opportunity to catch a glimpse into God’s heart for people. 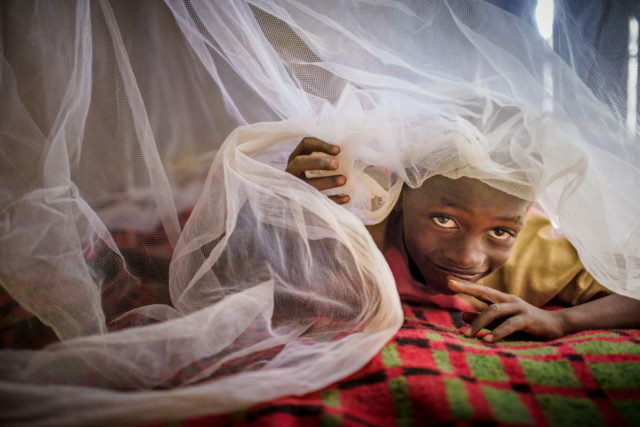 You also caught a glimpse into your sponsored child’s world. What was it like to meet her? 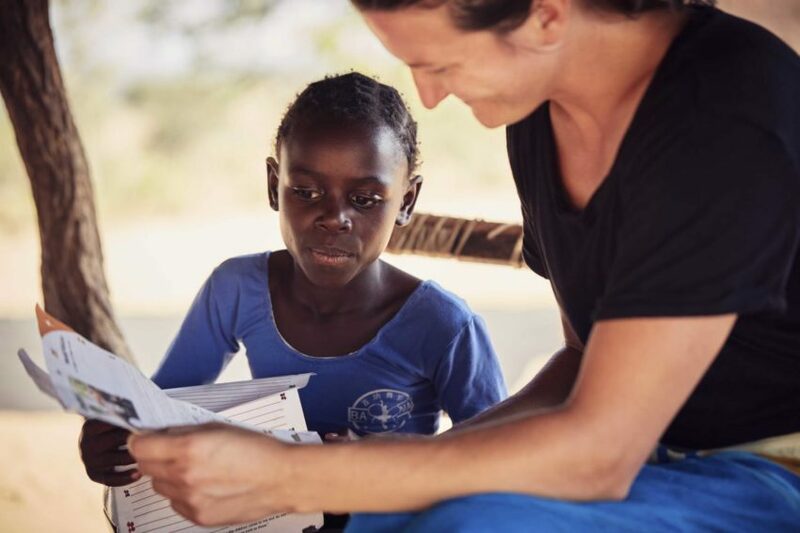 A lot of people have the opportunity to sponsor a child and do a lot of really great work, and they never get the opportunity to have that face-to-face moment. I was grateful to be able to put a face and experience to a name that I see and donate to. 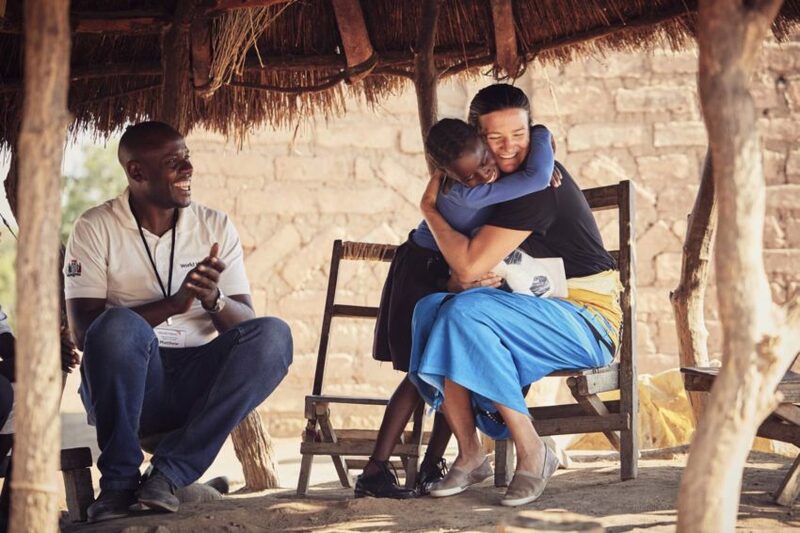 One of the most moving parts of the trip for me was hearing a mother say, “There aren’t enough ways to say thank you for what you’ve done.” It was overwhelming. To see Naomi, her family, school, and community — you don’t think you have an opportunity to make a difference, and by sponsoring her and meeting her, I can see, “Wow, I get to make a difference in at least one person’s life and one family’s life.” If nothing else, I can feel like I’m making a difference, and I’m stewarding what I have really well, and I get to change someone’s life for the better. When you say stewardship, what does that mean to you? I’m in a performance culture where people are always trying to be successful. I compete for a living. I’m at a contest every weekend fighting for the top spot on the podium. On some level, whether it’s at the Olympics or in a business, we’re all in a performance culture and striving to be successful in our own ways. I’ve always found that a good definition of success is simply being faithful, and that’s what I look to for stewardship. I say, “What have I been given, what have I invested that in, and what am I going to be faithful with?” Stewardship for me is being faithful with what I’ve been given, and if I’ve been given resources, given opportunity, and given a platform, I want to look back and say, “Wow, I didn’t invest it in things that won’t produce results — I invested in something that’s going to matter, that will outlast my ability to perform, that will outlast my ability to be on this Earth.” I want to make sure I’m doing something with what I’ve been given and not just sitting on it, not just protecting it, not just investing it in myself. You have had a chance to inspire so many people for two decades. As you transition into retirement, how do you feel God wants to use you moving forward? I’ve had it in my heart to write for a long time. A few years back, I finally met the right people who could help facilitate that dream. I spent a few years investing in this writing project for this book that I just released — called “Inspired: The Pursuit of Progress” — and I like to believe it’s the first of many writing projects for me. I set out to define success in a healthy way. In the book, I tried to put my life on display — the successes, the failures, the things I’ve learned, the things I’ve overcome — so I navigated success and disappointment and overcame life instead of having life overcome me. I felt like I’ve been in the public for a long time as far as the spotlight goes, and I’ve done countless interviews, movie projects, and different things over the years, but I’ve never really let people in like I was in this writing project. How are you letting people in through the book? I tell stories from throughout my snowboarding career of how I learned different lessons. I learned things that helped me be successful and have a fulfilling, sustainable, and long career. I wanted to give that away. I wanted to help other people hit their potential. I used that vein of inspiration that I’ve been able to operate in through my snowboarding career as a vehicle in the book to capture that and put my life on display like I never had. It’s been incredible. Writing a book is vulnerable. And along the same lines of my personal core beliefs, I want to be faithful in what I’ve been given. If I’ve learned things that will help other people learn them quicker — I always say I want my own personal ceiling to be the next generation’s floor — then they don’t have to spend 20 years trying to figure out how to learn the life lessons I did. They can start where I finish, and that’s what I capture. I want to set people up to be successful and go further than I ever could in the snowboarding world and beyond — it’s not a sports-specific book by any means either. You’ve been able to be a professional longer than most people because of your discipline. Do you have parallels with your personal life and spiritual growth? There’s a lot of crossover between the natural and the spiritual. Discipline is something you learn as an athlete that’s helpful in anyone’s spiritual journey, but the things that have really spurred me on to grow spiritually — and in snowboarding — is to figure out that you never really figure it out. You never really master it, and it’s continuing to be teachable and willing to learn and being willing to go back to the things that seem basic and never trying to arrive in life — as a snowboarder or in my walk with God. You have to allow yourself to evaluate and continue to grow. You never have it figured it out. That’s something that’s really spurred me on in my snowboarding and in my walk with the Lord. I also think you get out what you put in. As successful as I’ve been as a snowboarder, I’ve never stopped working, I’ve never stopped investing — whether it’s in my fitness routine or my willingness to learn something new. It’s like that in your walk with the Lord. If you want to grow in your faith, spend time with the Lord. You get out what you put in. The more you invest, the more fruit you’re going to see from it in the natural and in the spiritual. Like Kelly, make a difference in the life of a child by sponsoring a child today.